Musing Mondays: Do it differently this time! Booking Through First Time/My 1000th post! Started by Marcia, this August, Monday Mailbox is hosted by Shanyn at Chick Loves Lit. The naked flames danced gracefully around me as the pain flowed, through my veins. The grief and sorrow enveloped me and I descended into it without resistance. Coldplay strummed their beat as their melancholic lyrics rang so very true. The candles began to die one by one. They had served their purpose for that brief moment in time and finally reached their destiny. The sands of time continued to slip on by. The merlot mixed with my blood and the bitterness ran through me. Devastated by his beloved's betrayal, Om collapses both physically as well as emotionally and with that, begins his arduous battle for peace. Torn between love and anger, Om inadvertently starts to lose his grip on life as he knew it causing his world to spiral out of control. Hoping to recover, Om turns to his closest friends, Arun and Mona. However, instead of gaining support, he bears witness to the trials which have beseiged their lives. Like life, the three tales entwine sprinkled with humour, tragedy, perseverance and karmic retribution, and through Om, they bind together into a climactic conclusion. A stunningly inventive, deeply moving fiction debut: stories that take us from the slums of Colombia to the streets of Tehran; from New York City to Iowa City; from a tiny fishing village in Australia to a foundering vessel in the South China Sea, in a masterful display of literary virtuosity and feeling. Twelve-year-old Tom and his family have just moved to a small town perched on the crest of the moor. But troubles begin when Tom sees a mysterious child lurking around the nearby churchyard. A Time To Die. Psychiatrist Evi is trying to treat a young woman haunted by the disappearance of her little girl. A devastating fire burned down their home, but even two years on she is convinced her daughter survived. A Time To Kill. Harry is the town's new vicar, quickly befriended by the locals. But unusual events around the church suggest he isn't entirely welcome, and that this odd little town harbours a terrifying secret. Joran’s wife, Charris, is trapped in a dream that is manifested and upheld by Joran’s anger. Joran is unaware that he is responsible for his wife’s captivity, and the only way he can save her is by entering his dream to rescue her from the clutches of the Moon, who has her trapped in a sand castle overhanging the sea. Joran, though, cannot enter this place of rescue–his dream–until he has mastered his anger. What book tops your TBR (to be read) pile right now? Is it something you own, or something you have to borrow, or something you’ll be purchasing? Why do you want to read it so badly? Right now Stieg Larsson's The Girl Who Kicked the Hornets Nest, tops my tbr pile. I have read the first two in the Millennium trilogy and have to read this too. I don't have it as yet because right now it is not avaialable here in Delhi. As soon as get hold of it, I will read it. I have to know all about Lisbeth Salander, a character which will be known for a long time to come. You had a great week in books! I really want to read Hidden Wives. Blood Harvest looks very creepy. Happy reading! We book bloggers really do read so many books. I have Hidden Wives in my to-read pile as well. I hope you enjoy it. Maybe when you're finished reading it we can exchange notes. The Journey of Om looks really interesting to. I hope you enjoy it and the rest of your books. These look good -- I am especially intrigued by The Boat. I've heard lots of good things about Hidden Wives. 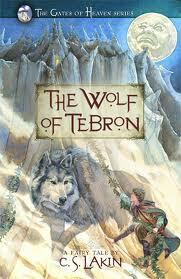 I'd like tocheck out The Wolf of Tebron, too. Looking forward to your review of The Gendarme. I've got two weeks worth of goodies in my Mailbox this week! Happy reading! I've read some good reviews for Hidden Wives. Hope you enjoy all your new books. What a great week...I've been wanting to read The Language of Trees. The short synopsis of The Boat sounds wonderful. I hadn't heard of this one before but now I'm intrigued. 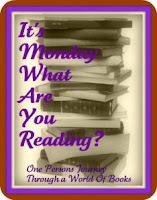 Have a good week and happy reading! I see The Language of Trees making rounds in the blogosphere. i wonder what you thought about it. You got some great new books! I just finished (and posted a review) of another book by S. J. Bolton, Awakenings. I enjoyed reading it. Hope her (new?) book is also good. I can't wait to hear about Hidden Wives and The Boat. Wow, they look good. Thanks. I SO cannot wait to read Mr. Peanut! I have heard only wonderful things about it. It's sitting on my shelf, calling to me right now! I've seen Hidden WIves around the blog world and would really like to read it. It looks like a great read! 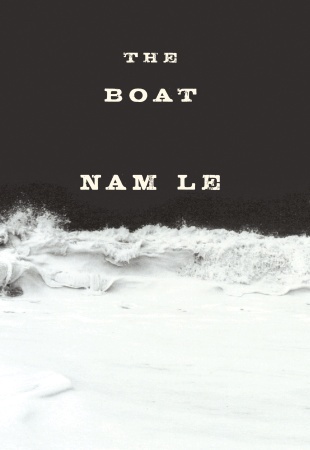 The boat is on my list of to reads. Happy reading. Nice books! Happy reading. My mailbox is at The Crowded Leaf. These look and sound really terrific! Enjoy! Enjoy all of your new books...I REALLY want to get my paws on Hidden Wives. Nice week there, they all look real good. 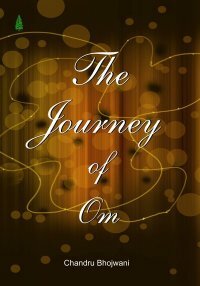 The Journey of Om has a fantastic cover. Its hard to say what tops my TBR pile right now... I have a few i need to finish. I guess it would be SOLD, which I meant to get to a couple weeks ago and did not. I want to read this so badly! Hidden Wives was a great read for me. The Boat is one that I'm truly interested in...enjoy! The Boat was an awesome book! 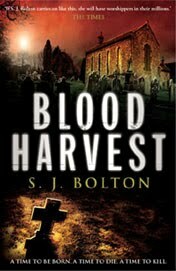 Lots of interesting books there - especially Hidden Wives and Blood Harvest. I've got those on my list of books to take a look at. Hope you enjoy all your reading this week! Wow, quite a selection! I'm quite curious about The Boat, I'll be interested in what you think. The Boat looks good to me! I have the Stieg Larsson books in my TBR. They do look good. Enjoy your books. I'm a day late in making the rounds. Here's what I received. Hidden Wives caught my eye, but it looks like you got several good ones. Happy reading!